You’re probably familiar with landscaping but do you know what greenscaping is? Greenscaping deals with all kinds of landscaping practices that protect and preserve the environment’s natural resources while improving the look and appearance of your garden or personal space. Simply put, greenscaping is a form of ‘environmentally-friendly’ landscaping. Over the years more companies, organizations, and factories have chosen to convert their landscapes into greenscapes in hopes of making their practices holistic and nature-friendly. The practices used for landscaping often have a detrimental effect on the planet’s ecosystem not to forget that these practices can cost a lot of money in the long run. Have you ever wondered about land usage in the United States? Think of all the malls, retail centers, recreational facilities, resorts, golf courses, amusement parks, public parks, the roads, and the highways in our country. All these places use a ton of resources; concrete, trees, lumber, asphalt, etc. 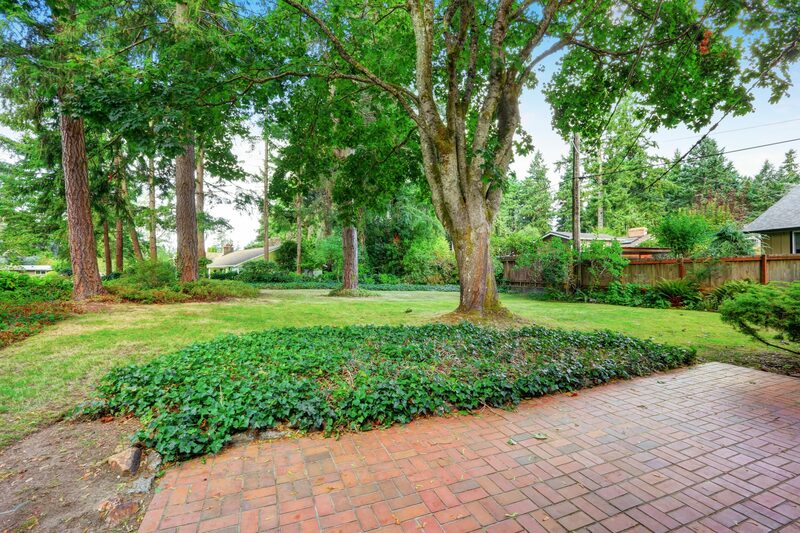 Think about the millions of gallons of water used, the pesticides and chemicals that are exposed in the environment through popular and unsafe landscaping methods. The processes and materials used are both economically and environmentally costly. Greenscaping can eliminate these redundant costs to create beautiful outdoor spaces. 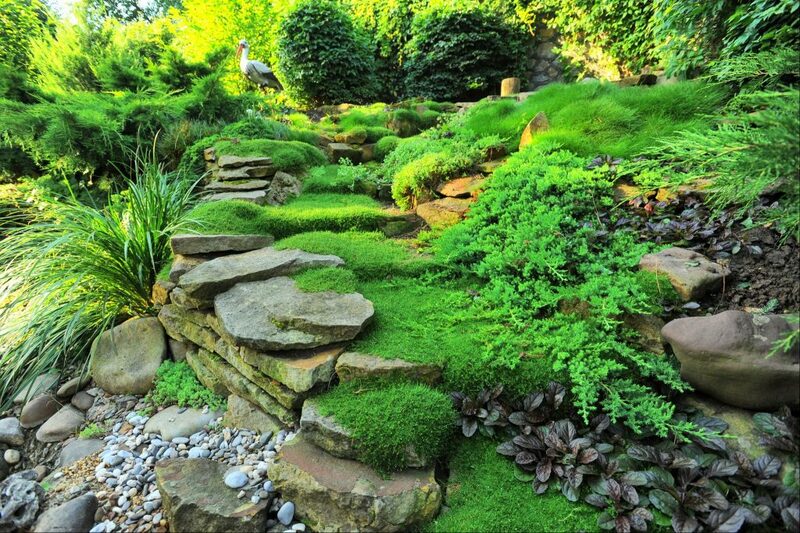 To make the most of greenscaping it is necessary to understand the four R’s of greenscaping. By setting short and long-term goals gradually you can make your practices environment-friendly. Even the tiniest of improvement can have a huge impact. All you need to do is to focus on the four R’s: reduce, reuse, rebuy, recycle. Substituting the plant lumber for recovered plastic lumber. By doing so, you are helping conserve plants and trees and natural ecosystems. In addition to this recovered plastic material has a longer life than wood, plastic does not require routine upkeep. This reduces the maintenance and replacement costs. Conserving water through the process of ‘Xeriscaping’. Using native plants that are indigenous to the region’s climate and soil require fewer pesticides and chemicals. Adding compost to the soil improves water absorption, which reduces water requirement. Reducing pesticides by “spot treating”, aka only using them on specific affected areas instead of an entire patch of land. This reduces the number of chemicals released into the environment. Consider using organic and bio-based fertilizers and pesticides. Using compost as the top layer of the soil can improve water absorption and decrease the use of fertilizers by up to 50%. Using mulch over the plant’s root zone can reduce moisture evaporation and conserve water. Mulch also prevents the growth of weed. Create your own mulch through tree clippings and wood chips. This will give you the benefits of mulch and save you the disposal cost. If you plan to remove plant or shrubs from your property then donate those to a local community or shelter. Reclaimed water, gray water, and collected rainwater can all be used as alternative sources of irrigation. This saves water resources and money. Compost, when used in the form of blankets and berms, minimizes the risk of soil erosion, and mitigates pollution. Due to its organic natural compost, make an excellent air filter media for volatile organic compounds (VOCs). Purchase plastic lumber instead of wood for benches, signs, and other outdoor structures. Plastic lumber is durable and has a low maintenance cost. Trade the leaves, clippings, and trimmings found on your site to a compost manufacturing facility for fresh compost. Recycle old tires from your vehicles and equipment. Use biodiesel and organic lubricants for your working equipment. Use recycled glass for filter media and golf course bunker. Greenscaping is an effective and sustainable process to upgrade your property. Not only does it benefit the ecosystem but also keeps your finances in check. If you are interested in learning more about ecoscaping or exploring your ecoscape options give us a call today. Your expert landscapers at Hidden Creek can help you make your space eco-friendly in no time at all. This aspect of preparing the yard for spring landscaping will require a rake, gloves, and perhaps a few other small tools. Picking up after the snow melts can be quite a messy, yet necessary task. Therefore, you should roll up your sleeves, put on your gloves, and get to work. You can also ask a landscape maintenance specialist for help. Leaves that have blown around, trees, and perennials can remain in place and mulched over. If they are in modest quantities, there is no need to remove them. However, there are often matted leaves all over the yard after the winter has passed, so we recommend you do remove most of those. The cleaning process requires you to remove debris. This includes clearing away dead leaves, grass, pinecones, and whatever other unwanted rubble that may be on the lawn. For flowerbeds that performed optimally the prior year, the best thing to do is put additional compost around the plants for fertilization. Also, you should remove any weeds that have sprouted in the beds. This will prevent them from spreading and growing more as the season goes on. You have a few options when it comes to opening up new planting beds. They include breaking new ground using a tiller and transforming lawn space into planting beds. There is also the option of building raised beds. You could consider soil solarization in areas that are particularly rough. 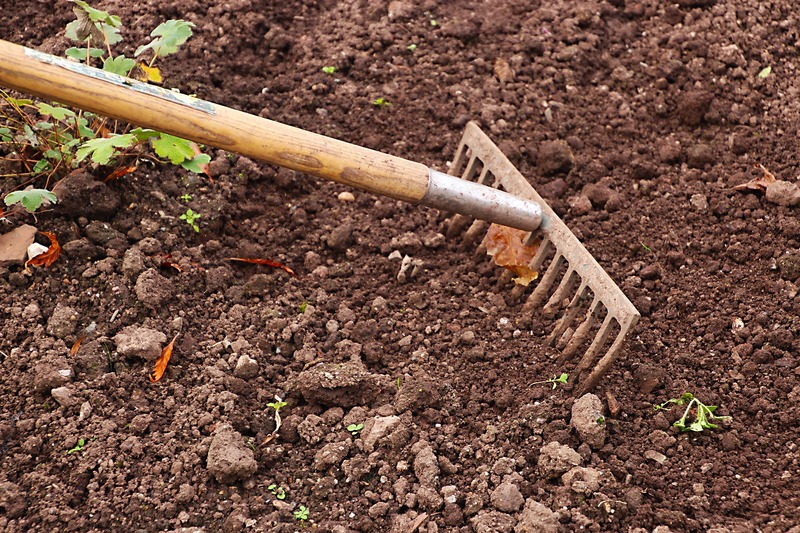 If you have broken ground to open up a new planting bed, there is no doubt weeds will find it fast. Therefore, in many situations, it’s a good idea to lay a landscape fabric on top of the ground. This should be followed by adding a layer of mulch. Early spring is ideal for the installation of trees and shrubs and the planting of perennial flower borders. However, this is only true if the perennials are hardy. For tender perennials, annuals, and seed, you should await the passing of the last frost date for your region. Sometimes it is much easier to battle weeds prior to their emergence, instead of waiting for them to rear their heads. While landscape fabric can be used to eradicate weeds in flower beds, pre-emergent herbicides may be helpful for your lawn, especially to control crabgrass. Precautionary measures can be taken to deal with garden pests. Many gardens require the protection of deer fencing or rabbit-proof fences. In regions where deer could pose a problem and fencing is not an option, installing deer-resistant plants is a wise idea. You could also look into growing rabbit-proof flowers if this is relevant to your situation. Trees and shrubs can frequently benefit from spring cleaning as well. The period between the end of winter and early spring is ideal for pruning shrubs that will flower in late June and last through much of the fall. For example, during this time you can prune shrubs like butterfly bush, abelia, beautyberry, clethra, caryopteris, smooth hydrangea, rose-of-Sharon and panicle hydrangea. It is also prime time to prune crape myrtle, St. Johnswort, vitex and summer-blooming spirea. Spring-blooming shrubs like rhododendron, azalea, lilac, weigela, viburnum, and forsythia should be pruned right after they start to flower. There is no doubt that dead branches should always be removed. However, the need to prune off live branches is typically determined by personal taste or one’s need to give the tree or shrub a more visually appealing shape. The ideal time to prune shrubs to give them a desirable shape differs from shrub to shrub. Any deep coating of mulch that may have been covering your perennials throughout the winter should be monitored to determine when they should be pulled away. This is necessary for the perennials to emerge unhindered. There is no exact date for when the mulch protection should be removed from your perennials; this has to be played by ear. The exact time to remove this mulch will differ based on where you live. However, if a deep layer of mulch has been applied, it will ultimately have to be scraped away from the ground immediately under the perennials to prevent smothering. 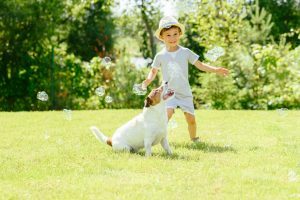 A comprehensive spring clean up readies your lawn and other parts of the landscaping for the spring and summer seasons. However, so much more can be achieved through spring cleaning. In many cases, this will save you from frustrations as the season progresses. Contact us for more tips and to discuss how we can help you clean up after winter and create a beautiful landscape for spring. Will Landscaping Increase My Home Value? Landscaping can increase the visual appeal of your home. It can also increase your home value. Below are some examples of how this can be accomplished. A number of individuals overhaul their closets every few years. The process typically involves revamping their wardrobe by replacing worn-out basics with some new pieces. The same concept can be applied to your yard with exceptional results. Giving your landscape a basic makeover can provide the space with a classic, value-boosting foundation on which you can build a work of art. Essentially, making a few small changes has the capacity to do a lot more than merely making your home more visually appealing. 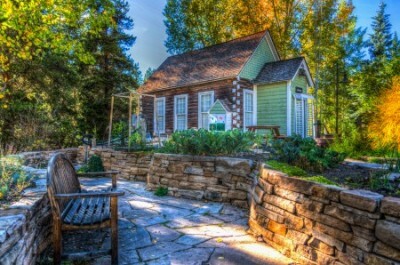 When correctly executed, this type of outdoor renovation project will boost the value of your home. A patio or deck installment or upgrade can dramatically transform an empty, unattractive backyard into a tremendous outdoor feature. Any of these structures can provide the ideal spot to entertain, relax, and revel in outdoor living at its finest. The patios and decks that will get the biggest return on investment are those that appear to have been installed since the house was constructed. However, this is not an indication that it should look old or worn out. Instead, it is widely recommended that homeowners add or upgrade a patio or deck in proportion to the structure and property on which the home sits. The majority of home buyers appreciate being able to use the convenience of their own backyard to escape from the burdens of everyday life, even if only for a while. If you have a limited budget that will not allow you to invest in an elaborate outdoor kitchen, for example, adding a patio or deck is a straightforward upgrade that can boost your home value. The outdoor kitchen is a structure that many landscaping dreams are made of. With a kitchen on the outside, entertaining friends and family will be a breeze. 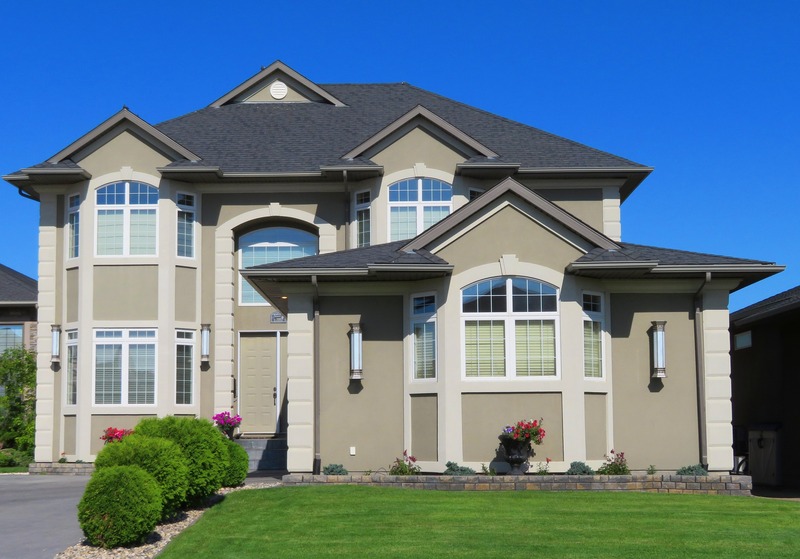 For many home buyers, this added luxury is becoming more and more desirable. Outdoor kitchens can create a fascinating ambiance that enriches your experience in the outdoors. 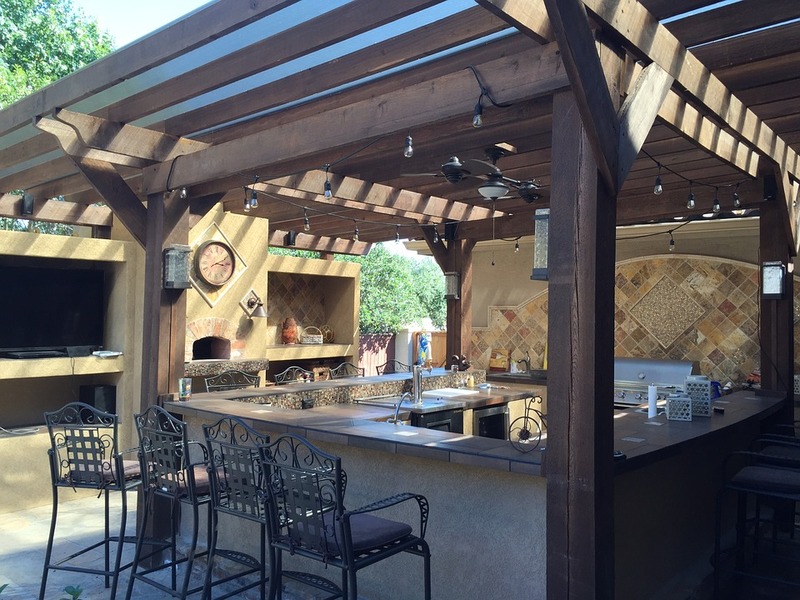 Constructing or remodeling an outdoor kitchen can be a remarkable idea. For homeowners who live in regions that experience a long winter season, opting for an outdoor kitchen in place of a swimming pool would be a wise choice. With a waterproof awning or pavilion, you will have the option of using your outdoor kitchen year-round. By adding one of these popular outdoor rooms to your home, you could see an average return on investment of between 100 and 200 percent. However, this largely depends on the climate. Warmer areas and structures built with durable materials typically see a higher return on investment. 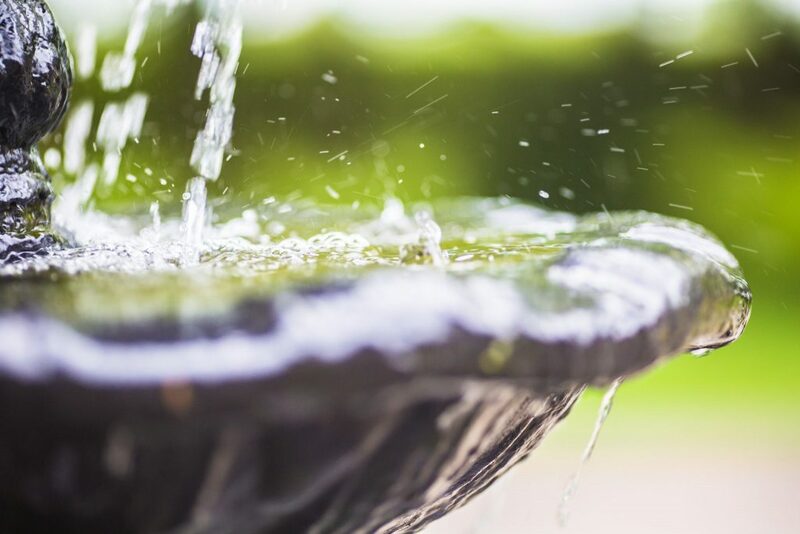 The cost of water is constantly on the rise; therefore, efforts to conserve water have become an important issue in the minds of frugal and environmentally-conscious homeowners. 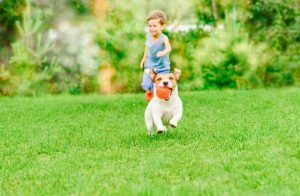 While lush, green lawns have a certain appeal, a number of homeowners have expressed a need to have homes that will not consistently take money from their pockets. In addition to solar panels, a rainwater recycling system can help to create a more sustainable home and reduce your dependence on utility suppliers. This will go a far way in increasing your home value. Proper lighting will help you to highlight all the improvements that have been made to the functional and aesthetic value of your property, even after the sun sets. Adding strategically placed lighting to your property will boost its function, visual appeal and overall value of the property. Remove debris like leaves on a regular basis. Pierce the lawn to allow nutrients and air to better access the roots of the grass. This assists roots in growing more deeply; creating a strong, lush and healthy lawn. During the growing season, your lawn should be fed required nutrients every 6 to 8 weeks. You should water the lawn deeply and infrequently; this encourages greater growth. Regularly cut your grass but ensure it is not too short. Shade cast by taller grass assists in preventing weed development. Left to its natural progression, grass will find its way into driveways, garden beds and sidewalks; this causes an untidy appearance. For a clean, manicured appearance, trim away the excess at the edge of the turf. It is not necessarily expensive to take care of your lawn, but it does require an investment of your effort and time. If you would rather not invest your energy and time on lawn care, other options are available. You can hire a landscaping company to keep your lawn looking its best. If your budget does not allow for major home improvement, a number of low-cost options exist for enhancing the exterior of your home to boost its value. 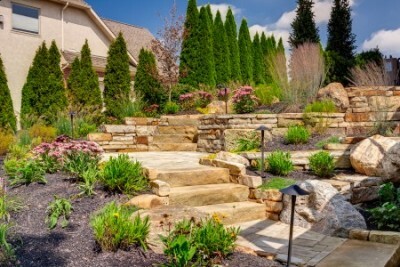 Landscaping projects like adding mature plants, planting flowers at the entrance of your home, re-sodding your lawn, sealing your driveway and trimming and weeding all cost under $1000 (often considerably less). The National Association of Landscape Professionals states that “a homeowner can expect a 215% return on investment” for landscaping projects like these. Contact us for more tips, or to discuss how we can help add value to your home through landscaping. A landscape is essentially the visible features of a land area, its landforms, and the manner in which they integrate with man-made or natural features. A landscape includes the physical elements of geophysical landforms like hills, mountains, and bodies of water like sea, lakes, rivers, and ponds. It also includes living elements of land such as indigenous vegetation. The human elements include different types of land use, structures, buildings, and transitory elements like weather conditions and lighting. Combining the cultural overlap of human presence and their physical origins, landscapes are a reflection of a living synthesis of individuals and place that is instrumental to national and local identity. A landscape’s character assists in defining the self-image of the inhabitants and providing a sense of home. It is basically the vibrant backdrop to the lives of individuals. A landscape is also viewed in terms of aesthetic appeal or as a pictorial depiction of an area of countryside, especially within the category of landscape painting. In addition, when the visual appearance of an area of land is deliberately enhanced by changing vegetation and contours, it is looked at as having been landscaped. The word “landscape” was initially printed in English in 1603. It has origins in Middle Dutch with the word “landscap,” which means region. The word also has origins in Old Norse (landskap) and German (landschaft). Landskip is the previous formation of the word in English. It should be noted that the suffix ‘ship’ has close ties to schaft, which means constitution, shape or condition. The emergence of the term “landscape” came around the turn of the 16th Century to represent a painting with the primary subject matter being a natural scenery. Land, which has its origin in Germany, may be viewed in the sense of a place to which individuals belong. For example, Ireland is the land of the Irish. “Scape” as a suffix corresponds with “ship,” the more commonly used English suffix. The roots of “ship” are linked etymologically to sceppan or scyppan in Old English, which means to shape. ‘Schaft’ as a suffix is associated with the verb schaffen. Therefore, “shape” and “ship” are etymologically linked as well. The contemporary form of the word has connotations of scenery and, as was previously mentioned, it emerged late in the 16th Century. This was when the word ‘landschap’ was made known by Dutch painters who used it in reference to paintings of inland rural or natural scenery. In 1598, the word ‘landscape’ was first recorded. The definition of landscape reflected in dictionaries conveys both a general and a particular meaning: being a part of the Earth’s surface. 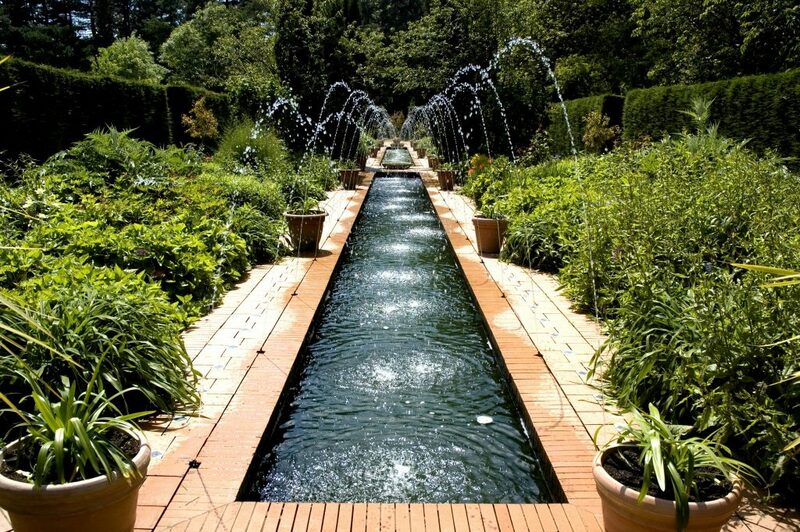 The Eastern philosophy and way of designing gardens has become increasingly popular in the Western world. Therefore, to enjoy the elegance and order of this garden style, a lot of individuals devote their backyard to it. Similar to other designs, this style gets much of its atmosphere from the plants with which it is created. As new varieties of Mediterranean plants like palm trees adapt to different climates, the Mediterranean style is among the most popular designs used in different parts of the world. This is a tremendously popular design that is created through the type of plants and garden décor. This style is mainly used in arid regions like New Mexico and Arizona. However, it is becoming more and more popular in different parts of the world. Again, since much of the atmosphere can be fashioned with hardscapes and décor, it is becoming more popular in areas which are typically unable to sustain the kind of arid plants used for this style. This style was originally created to raise crops for family sustenance. Today, many individuals who use this landscape style still make provisions for herbs and vegetables to be used in the kitchen. However, these gardens have taken on a slightly new use and appearance. Initially, there was a small number of flowers, but now we are seeing more and more cottage gardens overgrown with beautiful arrays of flowers. Based on the type of plants and geographic location, this type of landscaping is typically grouped in the same category as the Mediterranean style. However, the plants usually have considerably larger flowering plants and leaves with intensely vibrant colors. Thick foliage is usually placed towards the back of flower beds to create the look of a dense tropical atmosphere in the garden. The formal landscape style is largely based on geometrical shapes and straight lines. Most of the time, this design is quite symmetrical. Plants are placed in order and pruned continually to preserve the formal effect. It’s exciting to see how landscaping was conceived and how it has grown over time. At Hidden Creek Landscaping, we take great pride in keeping up with the trends, retaining knowledge of the tried and true landscaping styles, and perhaps most importantly, combining our creativity with customer visions to create new and exciting designs! If you are thinking of starting a landscaping project, contact us today. We can make your backyard dream a reality! 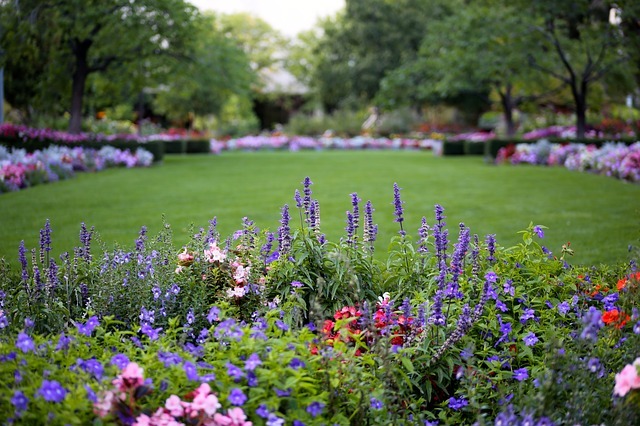 Flowerbeds, gardens, lawns, and other landscape features don’t just grow on their own. Plantscapes must be thought out before you even enter a nursery to buy seeds or small starters. Shade, screening, erosion control, separating, focal points, and many other elements must be considered. A small plant may look pretty in the store, but in ten years it could grow into a huge tree, ruining your house foundation if it isn’t planted far enough away from your home. It’s important to know everything there is to know about the items you are purchasing. What they will look like, how big they will get, and how they should be cared for. Make sure they are zoned properly and can grow in Columbus, Ohio’s climate. Determine the texture, if they will be smooth or rough. Height, weight, dangers, allergies, and colors are additional things you should think about. In summary, knowledge and planning are the keys to selecting the right plants and greenery for your home landscaping. Hidden Creek Landscaping possesses the knowledge and experience to incorporate the beauty of greenery seamlessly into your home landscaping design, with a perfect blend of style and functionality. Contact us today to start transforming your own outdoor environment into one that enhances your lifestyle and home.